Congratulations to the Holland Partner Group for successfully LEED certifying both Westlake Steps 2 and 4. 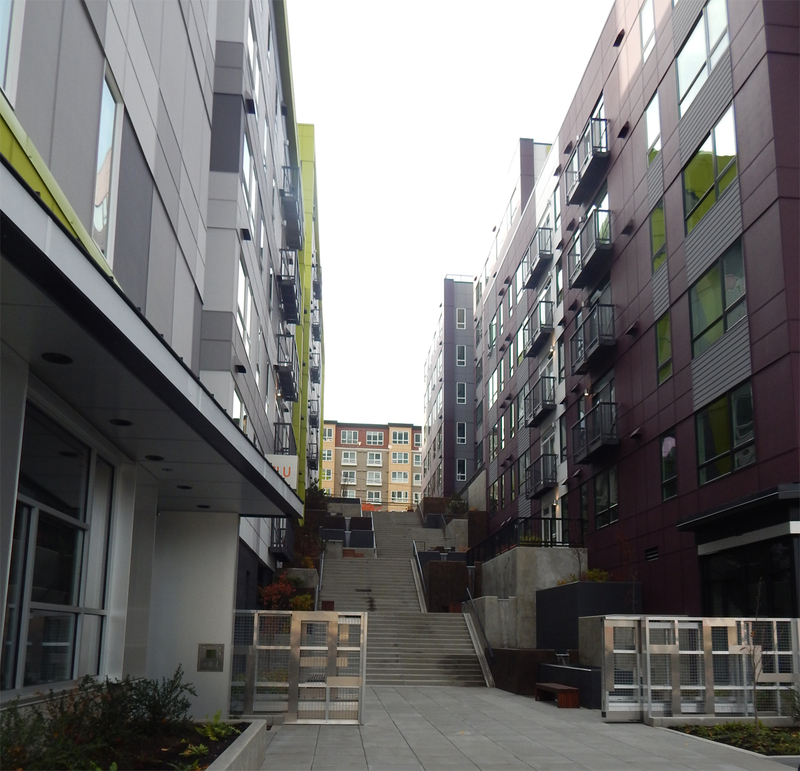 These large multifamily projects, located at 1207 and 1287 Westlake Avenue respectively, were built concurrently. To address steep terrain, each project is divided into two buildings stepping up the slope with an at grade walkway and hill climb between them. Below grade they are connected by shared parking. Completed first, the 310,000SF, 5-story Westlake Steps 4 project has 317 market rate units and achieved LEED Certification in the spring of 2017. It was quickly followed a LEED Silver Certification on the Westlake Steps 2, a 313,850SF 6-story project with a small groundfloor retail space and 385 market rate units. ArchEcology guided the LEED certification process for both projects.